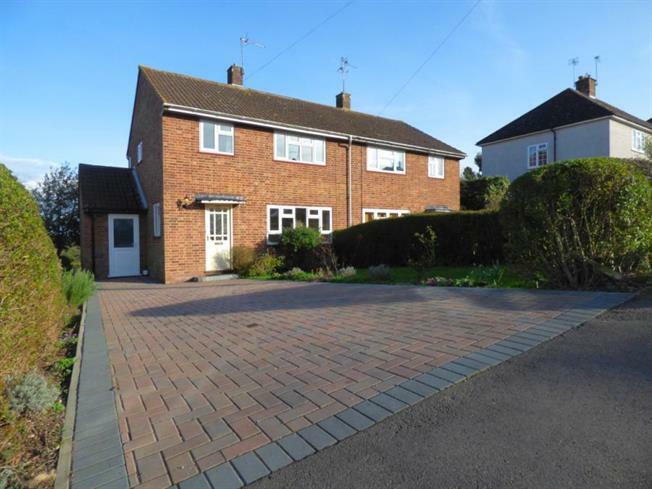 3 Bedroom Semi Detached For Sale in Potters Bar for Offers in excess of £525,000. A rare well presented property, owned by one family since it was built, this bright and spacious home boasts stunning countryside views from all rooms, in a quiet cul-de-sac, situated in the scenic village of Northaw. This property is presented in stunning condition, with a large driveway accommodating two or more vehicles. The accommodations comprises of an entrance hall, living room, separate dining room, kitchen with a separate side entrance leading to the rear garden. It also features a utility room including ample storage for garden equipment. It also has a large cupboard under the stairs, with lots of room in the built in wardrobes in all three bedrooms. It also includes a family bathroom with a bath and a shower. Not only that, with large landscape gardens and a decked area within the garden it's perfect to relax on warm summer night or host a bbq. Horses and other wildlife regularly within your view, wild birds visit the garden including Red Kites, Parakeets and woodpeckers. The morning views are picturesque, the sun rising across the fields in your back garden. With potential to extend up into the loft, to the front side and rears, subject to planning permission, and the potential to reconfigure the walls internally to provide open plan living in the available footprint if so desired. This family home is newly decorated with carpeted and laminated flooring, ready to move in with no work necessary, and is chain free.